Now that the Switch is not only a reality but a runaway success, I can't help but daydream about all the games Nintendo could greenlight for it. I say greenlight here rather than make, by the way, because I know Nintendo doesn't develop all of the games it publishes. The Kirby series, made by HAL Laboratory, is a good example. Game Freak's Pokémon series is another. We already know new Kirby and Pokémon games are being prepped for Switch, of course, so no need to beg for them here. New Animal Crossing, Fire Emblem, Metroid, and Yoshi Switch game are in the works, too. What more could a Nintendo fan and Switch owner want? Plenty. Personally, I'd like to see sequels to all the following games come to the hybrid console at some point in its lifetime. 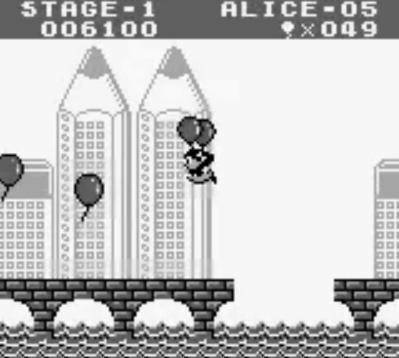 Balloon Kid--Nintendo can be so weird sometimes. How else would you describe the company's decision to follow up 1985's classic Balloon Fight with 1990's great-but-should-have-been-even-greater Balloon Kid--and then never again return to the helium-supported series? Given that, I can't imagine Nintendo's prepping another Balloon Fight--or, better yet, another Balloon Kid--game for Switch, but I'd sure love it if that were the case. Endless Ocean--One of the great tragedies of the Wii era (in my personal opinion, of course) was that Endless Ocean didn't become even a tenth of the worldwide hit Wii Sports and Wii Fit became. Considering the console's casual-leaning ownership base, I really thought a game that tossed players into the ocean and then set them free to explore to their heart's content was a million-plus-seller in the making. Well, not only didn't Endless Ocean sell millions, but it sold so poorly Nintendo decided against paying developer Arika to produce a sequel for the Wii U. Here's hoping the company's bigwigs come to their senses and give the thumbs for Switch title. F-Zero--Now that Nintendo seems interested in Metroid again, could it similarly revitalize its long-ignored F-Zero series? I have my doubts. Still, I can't help but hold out hope the Switch is home to the first F-Zero title since GP Legend and Climax hit the GameBoy Advance in 2003 and 2004. Hotel Dusk--What's less likely than an F-Zero Switch game? A new Hotel Dusk for the hybrid system. 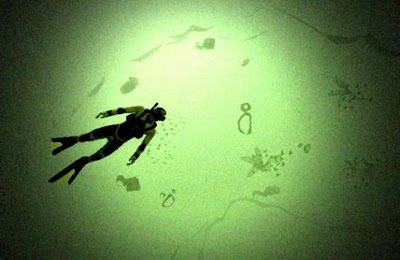 That's mainly because CiNG--the developer behind that 2007 point-and-click adventure (read some of my thoughts on it here) and its 2010 sequel, Last Window--filed for bankruptcy seven years ago. Still, some of that company's former employees recently came together to make Chase: Cold Case Investigations ~Distant Memories~ for the 3DS. 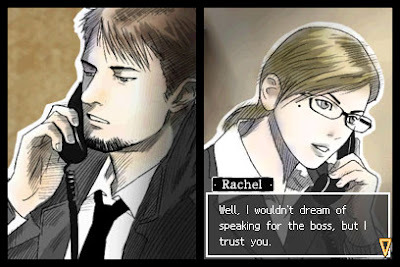 Although most who played that eShop title considered it a disappointment (myself included), I'd give its devs another shot if they could rope Rika Suzuki (Hotel Dusk's and Last Window's writer) into the project. 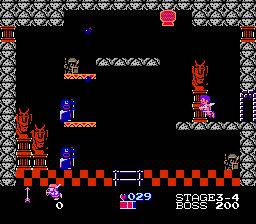 Ice Climber--I may very well be the only living soul who'd like to see Nintendo release an update to this masochistic Famicom and NES game. Sadly, I think an Ice Climber sequel would've fared best on the dual-screened DS (imagine it: pixel-based graphics, a jumping mechanism that doesn't make you want to yank out all your hair, and mountains that go on for days), but since that failed to happen, I'll ask for it to be made for Switch. To be honest, I'm not even sure how such a game would play out, although one thing's a must: Nana and Popo would have to be easier to control this time around. Luigi's Mansion--Considering 2013's Dark Moon seemingly met with sales success all around the globe, I have to imagine Nintendo's already hard at work on a follow-up for Switch. If not, I hope they get on it soon, as I thoroughly enjoyed what I've played of the series' first two titles. 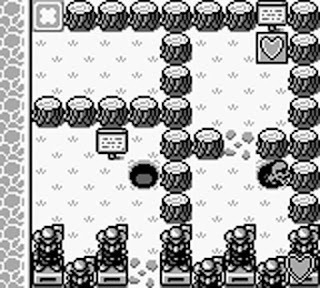 Mole Mania--Nintendo's failure to give this GameBoy classic a second chance is right up there with its failure to properly follow up Balloon Kid and Drill Dozer, in my humble opinion. Of course, the original release was met with disinterest around the globe, so I guess I can't criticize the hesitation too harshly. Still, Mole Mania's now widely considered an overlooked gem, so why not throw its many fans a bone by giving them a Switch sequel? Even an eShop-only effort would suffice, if you ask me. Panel de Pon--For some dumb reason, the powers that be at Nintendo think the masses--outside of Japan, especially--would rather play Tetris Attack or Puzzle League than the syrupy sweet Panel de Pon. Is the assumption here that Westerners hate games that are slathered in pastels and star adorable fairies? If so, I respectfully disagree. I'll forgive the company its trespasses, however, if it offers up a new Panel de Pon for Switch that harkens back to the Super Famicom original. BONUS ROUND: Tomato Adventure--Now that nearly everyone is burned out on the Mario & Luigi series, Nintendo should give developer AlphaDream a break and have it produce another Tomato Adventure. This time, though, they'd better release the game outside of Japan.